A family run business with vast experience in Solar Powered Fridge Technology­, in Motorhomes­, Caravans Boats and Baches. Vantage RV has it's origins in the motor-home industry, making motor-homes less dependent on 240 volt for freedom camping, using off grid technology. 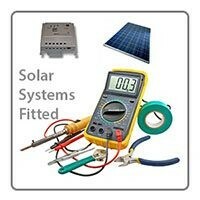 Vantage RV Ltd is New Zealand Owned and operated, North of Auckland, we supply and fit Solar Systems for Solar Compressor Fridges, and other DC 12/24/36 volt appliances. We have a warehouse containing a wide variety of DC 12/24 or 36 volt compressor fridges that are designed to run on solar power. Plus a whole lot of products to build a suitable solar system for remote living in tiny homes, baches, house buses, motor-homes and caravans. A large amount of our customers when they order fridges also have their Solar System custom designed and made for DIY installation by our very knowledgeable staff.